Receive rewards just for shopping! Use your rewards card in-store and at the pump to earn free items. Get cents off fuel discounts when buying qualifying items, which can be redeemed for instant savings at the pump. Add coupons to your card, and redeem your rewards just by showing your rewards card when you check out. To apply, sign up for your Kwik Rewards loyalty account. If you have an account, simply login above to apply. Use your Kwik Rewards Credit or Debit to purchase fuel at Kwik Trip and automatically get 3¢ per gallon off at the pump. 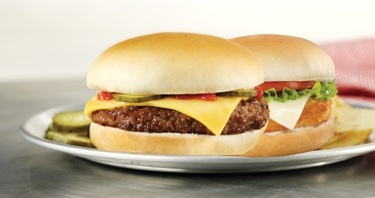 Use your Kwik Rewards Credit or Debit and receive 5% off most in-store purchases. Receive all the same benefits as Kwik Rewards members with a single card. 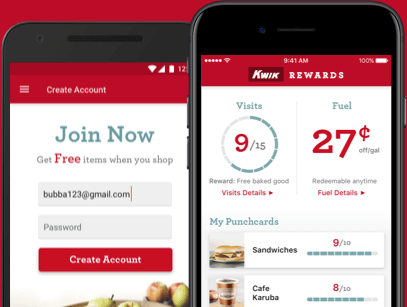 Every time you fill up at Kwik Trip, you’ll earn points you can use in-store to purchase most in-store items. multipliers based on how much you fill up each month. Earn digital punches just by swiping your rewards card with qualifying items.